People who love (luxury) watches will also be able to appreciate the other finer things of life. One of these finer things is – of course -?Ç¬ fashion and in this case, shirts. Just recently, I came in touch with Wallstreet Kingdom shirts. The owner of Wallstreet Kingdom is also a big fan of haute horlogerie and shares his fashion philosophy with us on his website. “Our fashion objects are exclusively made. Sartorial tradition and real craftsmanship, as well as the best fabrics and handmade details epitomize what real luxury should be all about: sophisticated, stylish and ready to wear. Everyday. Every time. Everywhere. “We want to be the Audemars Piguet of the fashion industry”, says Christian Adriaanse. “Tradition, excellence and daring. Designing iconic objects. Just like them. Their first Royal Oak watch was unveiled in 1972 – my year of birth – it looks as if it was designed yesterday. Fabulous”. Designer Christian Adriaanse only uses the very best materials to create these Stripes of Pride shirts, including mother of pearl for its buttons. The Stripes of Pride collection is there to celebrate your successes, achievements and – in short -?Ç¬ life. No holding back because the economy/business goes slow. 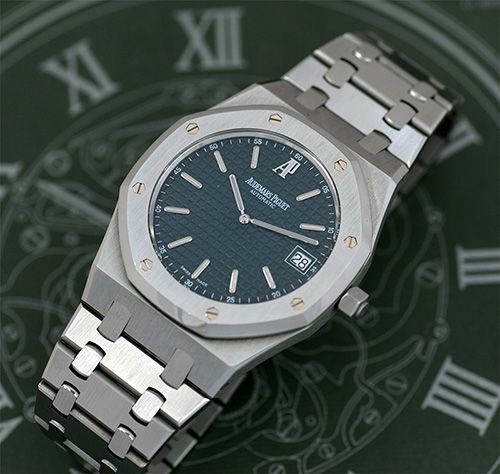 Just like Audemars Piguet and G?É¬©rald Genta did in 1972, introducing a stainless steel luxury sports watch, costing as much as a 18ct gold Patek Philippe Calatrava watch. Because they could do so, by showing their tradition and excellence in everything they do, including in their stainless steel sports watch. 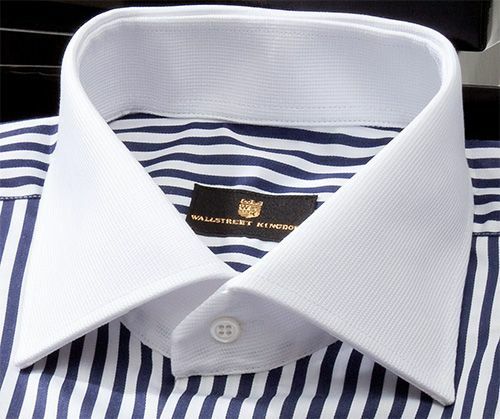 The designer of Wallstreet Kingdom shirts is also an admirerer of haute horlogerie and particularly of Audemars Piguet. 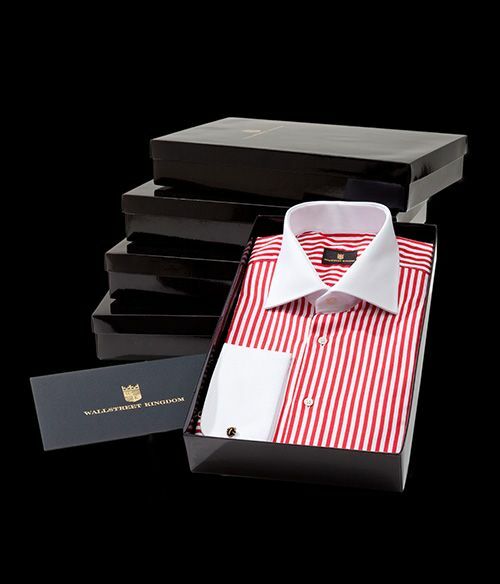 As he discussed with me, the red-white Stripes of Pride shirt will perfectly match a Royal Oak ref.15202ST and the blue-white shirt will go well with an Offshore Navy. Just so you know.